“ጉዳዩ ያሳሰባቸው የትግራይ ተወላጆች” የበታችነት ስሜቱን “በወታደራዊ የበላይነት” ለማሳየት ወያኔ ከቀድሞው አሳዳሪው ከሻዕብያ ጋር ባደረገው የእብሪት ጦርነት ሳቢያ “ለተጎዳችው” ትግራይ የኢትዮጵያ ህዝብ ለትግራይ ካሳ ይከፍል ዘንድ ጠየቁ። ለወያኔ ኪሳራ የኢትዮጵያ ህዝብ እንዲከፍል የሚጠየቅባት አገር! ግፈኞች! “ጎበዞቹ” ትግራይ ለሁለት አስርት አመታት ያህል በጦርነቱ ስለተጎዳች እንድትካስ የሚጠይቁት ምጸት የሚሆነው ወያኔ የሚመራው “መንግስት” “ወዲ አፍሮ” ለስልጣኑ አደጋ ስለሆነ አስመራ ድረስ ዘምቶ ያስወግደው ዘንድ በትግርኛ ሲማጸኑ የነበሩ ጦርነት ናፋቂዎች መሆናቸውን ስናስታውስ ነው። የጉድ አገር! Awramba Times (Addis Ababa) – A group of social media activists and concerned individuals from Tigray have written an open letter to FDRE’s prime minister, Hailemariam Desalegn, voicing their concerns about “no peace, no war policy” and its repercussion on the overall development and investment opportunities in Tigray. 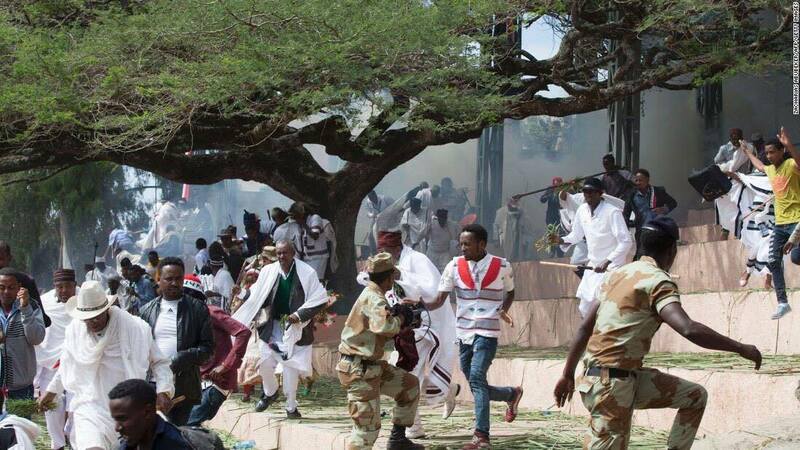 The activists also asked on their letter that the war-torn province of northern Ethiopia should get possible benefits and compensations from the federal government to recover from the calamitous damages it faced in nearly two decades. Please read the amharic open letter below.